Such a "true blue Aussie" icon is our petite blue wren - just love them :) Thanks for all the interest in "the cow in the river" photo yesterday. The river there is extremely shallow so it would have easily walked in and out - and there is a farm on the right hand side! 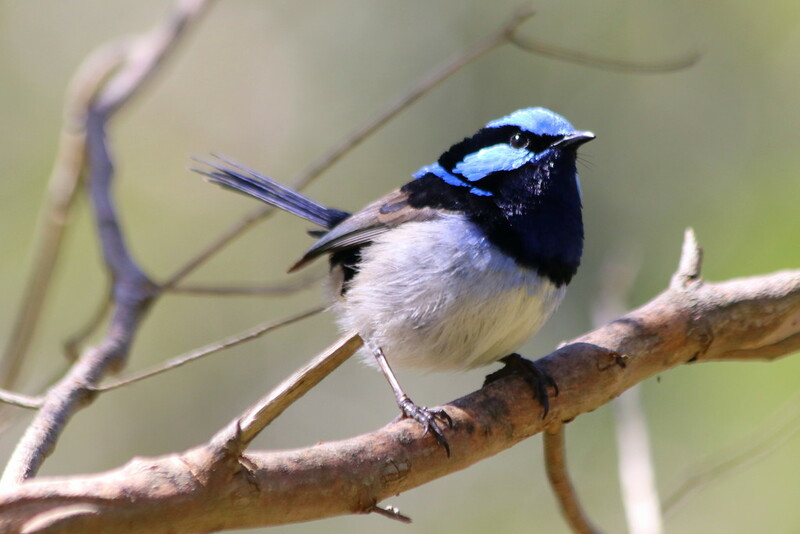 Brilliant shot of our lovely little fairy wren. Fav. What a little cutie. My favourite birds. He’s so pretty and I love the light on him. They always appear so fluffy! great capture … I'm glad you explained about the cow. It sure looked small in there.